I have listed a new property at 92 CEDARBROOK WY SW in Calgary. I have sold a property at 16 WALGROVE DR SE in Calgary. Brand new former paired showhome built by Cardel Homes. Rich natural surroundings and contemporary architecture make the south-east community of Walden a true hidden gem. 16 Walgrove Drive SE is located in Phase 27 of this popular urban, modern, neighborhood. Rear west facing lot with paved lane. This Indigo 1 model is loaded with style. Consistent with the high-quality Cardel brand 16 Walgrove Drive is unique and personalized for the individual buyer with lots of wow factors including 9' ceilings, a developed basement stairwell, upgraded flooring, custom kitchen design with quartz countertops, a beautiful interior colour scheme, upgraded stainless steel kitchen appliances, front landscaping including irrigation, great overall curb appeal, and much more, all packaged at an exceptional price. I have listed a new property at 330 930 CENTRE AV NE in Calgary. I have sold a property at 4 MOUNT BURNS GR in Okotoks. I have sold a property at 131 ERIN MEADOW WY SE in Calgary. Welcome to this immaculate 4 bedroom 2 story home with over 2300 square ft developed with a double detached garage!! The main level, with it's dramatically high ceilings, has laminate flooring and consists of a front Living room leading to the sunken Family Room located right next to the recently renovated Kitchen complete with a corner pantry & center island with eating bar all with quartz counter tops and upgraded tile back splash and a generously sized dining area.Let's not forget the 2 piece powder room and the laundry room!The upper level consists of 3 bedrooms with a Huge Master bedroom complete with a 4 piece en suite and a separate 4 piece bath. The lower level,also with 9 ft ceilings,is finished with a recreation room and a fourth bedroom.The back yard is fenced and fully landscaped with a 2 tiered decked and 60 amp service in the double detached garage. Extremely well cared for and strategically located property close to schools,park ,shopping,public transportation, Stoney & Deerfoot trails! I have sold a property at 9068 52 ST NE in Calgary. Surrounded by thriving communities and established amenities, Savanna offers easy access to everything a family needs.9068 52 Street NE is located in phase 2B of this prominent north-east neighbourhood. This 1,229 sq. ft. Cobalt 1 model is loaded with style. Consistent with the high-quality Cardel brand 9068 52nd Street NE is unique and personalized for the individual buyer with lots of wow factor including 9’ ceilings, upgraded flooring, custom kitchen design with granite countertops, a beautiful interior colour scheme, stainless steel kitchen appliances, front landscaping including irrigation, great overall curb appeal, and much more, all packaged at an exceptional price. I have sold a property at 172 COPPERFIELD RI SE in Calgary. Welcome home to this bright & sunny,impeccably well kept bi-level situated on a very quiet street in the community of Copperfield!This home greets you to it's open concept floor plan with vaulted ceilings.The main floor consists of a Master bedroom,4 piece bath,a den complete with window & closet which could easily be utilized as a 4th bedroom,kitchen with center island leading to the dining room situated right next to the living room overlooking the back yard.The basement is professionally developed with huge windows consisting of a rec room with a cozy gas fireplace, 2 bedrooms with yet another 4 piece bath! !The back yard is fully fenced and beautifully landscaped with a deck for barbecuing leading to a lower patio with interlocking bricks & well established perennials all conducive to a private setting for entertaining your guests!! Close to schools,shopping,transportation and easy access to both Deerfoot & Stony Trails and the future green LRT line!! Don't miss out on this GEM!! I have sold a property at 1341 WALDEN DR SE in Calgary. I have sold a property at 1310 WALDEN DR SE in Calgary. I have sold a property at 12 WALGROVE DR SE in Calgary. Brand new former paired showhome built by Cardel Homes. Rich natural surroundings and contemporary architecture make the south-east community of Walden a true hidden gem. 12 Walgrove Drive SE is located in Phase 27 of this popular urban, modern, neighborhood. Rear west facing lot with paved lane. This Cobalt 1 model is loaded with style. Consistent with the high-quality Cardel brand 12 Walgrove Drive SE is unique and personalized for the individual buyer with lots of wow factors including 9' ceilings, a developed basement stairwell, upgraded flooring, custom kitchen design with quartz countertops, a beautiful interior colour scheme, upgraded stainless steel kitchen appliances, front landscaping including irrigation, great overall curb appeal, and much more, all packaged at an exceptional price. I have sold a property at 83 PANTON VW NW in Calgary. 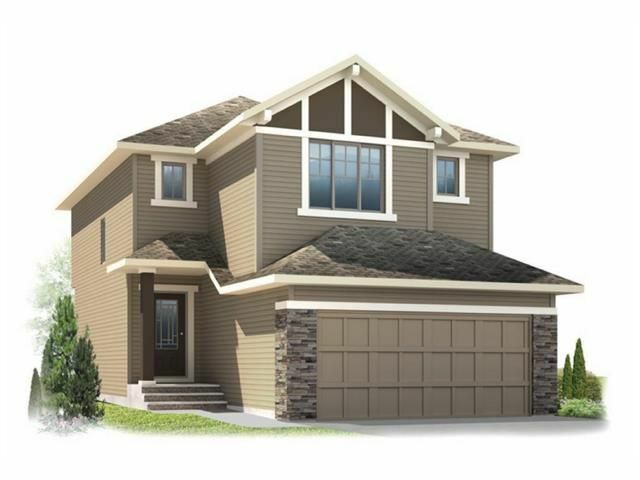 Welcome home to this beautifully finished, immaculately kept, and conveniently, located 2 story double attached garage home situated on a quiet street across from the Ravine. The naturally bright open concept main floor consists of a den,2pc powder room, upgraded kitchen with centre island, walk thru pantry, glass tiled backsplash & granite counters, large dining area leading to a huge deck to entertain your guests, all this along with a great room with cozy gas fireplace! The upper level boasts of a generous bonus room, laundry with sink,3 bedrooms with the Master having a walk in closet, 4 piece en-suite with separate shower & tub. The lower level has all walls gyproced with blinds included to give you a jump start in personalizing the basement with your vision in mind. This home comes complete with a built in vacuum system and yard fully landscaped & fenced. This perfectly situated home is located close to schools, playgrounds, shopping & all other expected amenities with great access to Stoney Trail! I have sold a property at 22 CHAPARRAL VALLEY GR SE in Calgary. I have listed a new property at 2616 CHARLEBOIS DR NW in Calgary. Meticulously maintained 3-bedroom bungalow within walking distance to U of C, shopping and C-train! The main level has been freshly painted in neutral tones complimenting the refinished original hardwood floors that run throughout the entire main level with the exception of the kitchen with newly installed laminate vinyl tiling. The living room, dining area & kitchen have large windows allowing for tons of natural light. The kitchen has high-end stainless-steel appliances, tons of cabinets and a large window overlooking the private back yard! Recent upgrades include new windows throughout the main floor, renovated kitchen & back splash, main floor bathroom, new carpet in basement, and new composite front porch! The basement is fully finished with a large rec. room, 3pc bath and a 3rd bedroom plus a DEN. Beautiful perennials and landscaping outline the backyard with a double detached garage & sun room. This is an excellent opportunity to own a well-maintained home in the fabulous community of Charleswood. I have listed a new property at 16 WALGROVE DR SE in Calgary. I have listed a new property at 106 2233 34 AV SW in Calgary.